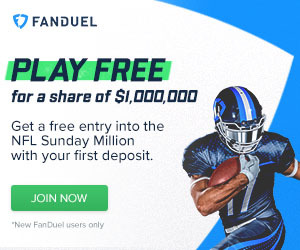 If you're trying to get the most out of your week 16 RB picks on daily fantasy football sites like DraftKings and Fanduel, you need to target players with a favorable matchup as well as one that offers you value. Your DraftKings week 16 running back picks will be a crucial element in putting together a winning lineup whether you are playing in 50/50 games or in a big GPP tournament. Consider this week 15 statistic: Only one running back rushed for over 100 yards. That's why it's important to get your DraftKings week 16 running back picks right. *Congrats if you read last week's projections and played Knile Davis for $3,000, getting 21.1 fantasy points out of him. Top tier player for midrange price. Since week 8, Lacy is averaging 23.8 fantasy points per game. Don't expect the Bengals to stuff the Broncos' offense like they did to the Browns last week. Week 15 aside, Cincinnati has given up an average of 109 yards rushing and 1 TD per game for the season. Since taking over the starting duties in week 10, Anderson is averaging a touchdown each game. Expect around 100 yards rushing and a TD from him. Can't ask for a better matchup here but be cautious as the Saints have only given him the ball 20+ times once in the last 4 weeks. This is going to be a high scoring game and I know that I will be stuffing my lineups full of players from this game. The Bears are a train wreck right now. This game could get ugly and I expect several Lions players to get in the end zone this week. Isn't a whole lot of upside here but he provides value for your lineup. Oakland is a more than favorable matchup for running backs. Expect a solid 15-20 fantasy points. Stewart has 2 weeks of 20+ carries. This workload against a Cleveland team that can't seem to score points leads me to believe he could have the kind of game Jeremy Hill had against them. Hill carried the ball 25 times against the Browns and ended up with the most fantasy points for a running back. Morris produces a better stat line with RGIII in the game and I can see a bounce back this week against a slumping Eagles team. He's got the upside, he's got the touches and the price is nice. Only thing that is questionable is whether the inconsistent Giants' defense shows up or not. I'd consider this option if you're looking to go against the grain with a running back in week 16. He has kind of fallen off the fantasy radar but had a really great week 15. He always provides a little more value in the 1 PPR format and has a shot to find the end zone in Miami. In the last two weeks alone, the Dolphins have surrendered 3 rushing touchdowns. Herron is another back with increased value in 1 PPR with an favorable matchup. Dallas has allowed 4 rushing touchdowns in the last two weeks alone. Like I said earlier, this will likely be a high scoring game as both teams have good offenses and very poor defenses. Take advantage of all the yardage and points that this game will provide. Green Bay's defense is so-so in general but I'm expecting garbage time points here really. Still good value for what he is priced at. Not huge numbers to be had here but he will likely be worth the low price tag, even if you only get 12 points. I like this DraftKings week 16 RB pick because he has 175 yards rushing and 5.2 yards per carry since coming off the practice squad two weeks ago. The price is so low here but be careful, this game will likely be a pretty low scoring one which hurts everyone's stats. I think all this talk of DeMarco Murray playing is just disinformation from the Cowboys in an attempt to throw off the Colts. He will still suit up but I can't imagine him playing much if any. He just had surgery Monday. Either of these two guys could have top 10 stats depending on how they split the snaps. I'm providing a bonus this week. A look at one of my 50/50 lineups which I put together with the help of the FantasyKnuckleheads optimal lineup tool. Remember: never play with just one lineup. Create several.